Home / Browser / How to fix “DNS Probe Finished No Internet” in Chrome? How to fix “DNS Probe Finished No Internet” in Chrome? 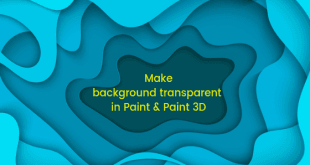 When Google released Chrome back in 2008 it surprised a whole bunch of people – Google is a web company, and for them to build desktop software was an odd thing. It took a whole of two minutes for people to realise – Google is a web company, and building a web browser makes complete sense. Chrome gained its market share by being extremely fast – it introduced new concepts, technology and delivered rendering speeds unheard of at the time. However, no software is ever perfect and Chrome comes with issues of its own. The DNS_PROBE_FINISHED_NO_INTERNET error is not a very descriptive one – much like the many other errors that Chrome encounters. It is, However, an annoyance that you cannot ignore since you cannot browse the internet without fixing it. 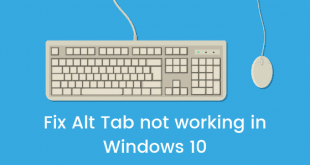 Ironically, you would need a browser to read this guide to help you fix this error. We are going to list a bunch of solutions for this error, and we hope one of the solutions will help you in resolving the DNS Probe Finished No Internet error in chrome. Some of the methods might not work, if so, simply move to the next one and give your luck another shot. Just make sure you follow the instructions step by step, though. The DNS allows your browser to convert a domain name to its IP. Basically, it turns the name to an ID it can contact. Sometimes the DNS cache can get corrupted and cause problems – simply following these steps will clear the DNS cache. 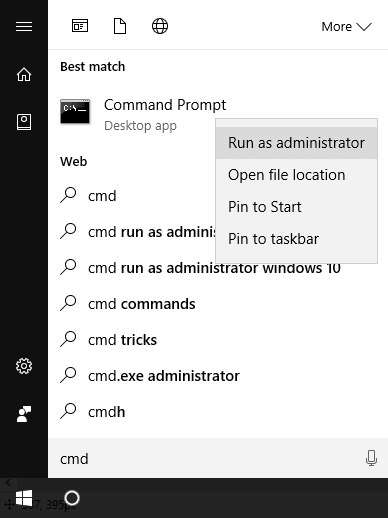 Open your start menu and type “cmd”, right click the first result and click “Run as Administrator”. 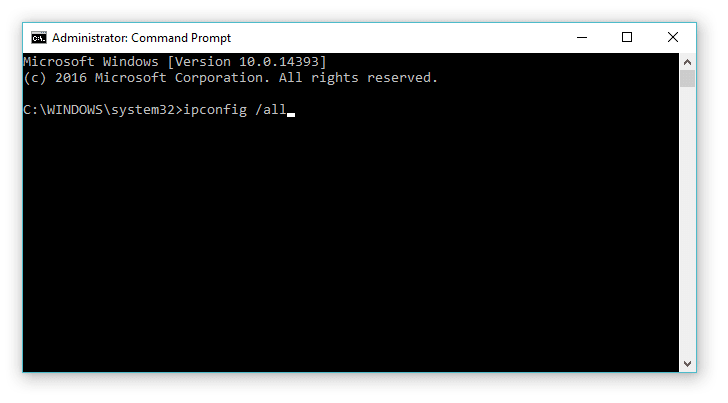 Once you have the command prompt open – as an admin – type the following commands. Once you have successfully run every command, simply restart your computer. This might fix the DNS Probe Finished No Internet Chrome issue – or it might not – we won’t know until you try it. If it does not help, kindly attempt the second solution. You need to set Preferred DNS Server as 8.8.8.8 and Alternate DNS Server as 8.8.4.4 on your system. To do that just follow the steps mentioned in this article. It should resolve the DNS Probe Finished No internet error in chrome, if not, please follow the 3rd Solution. Every operating system relies on a tiny bit of software known as a Driver to communicate with hardware – a driver’s job is to convert what the operating system is saying what the hardware can understand, and vice versa. Think of it as a language translator – therefore they need to be constantly updated. 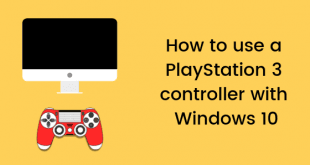 The following steps will redownload your network drivers from the Microsoft servers – if you happen to have some sort of custom network interface, you will have to find the latest drivers for that component yourself. 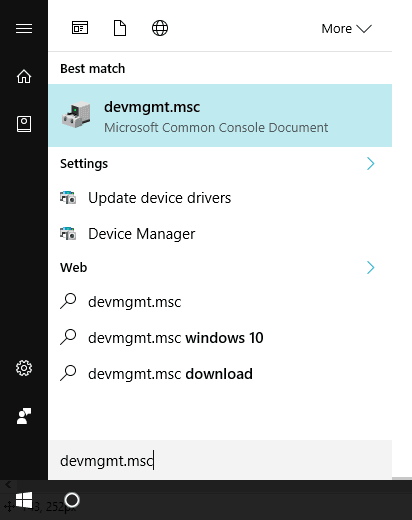 Open your start menu and type “devmgmt.msc”, then click on the first result. 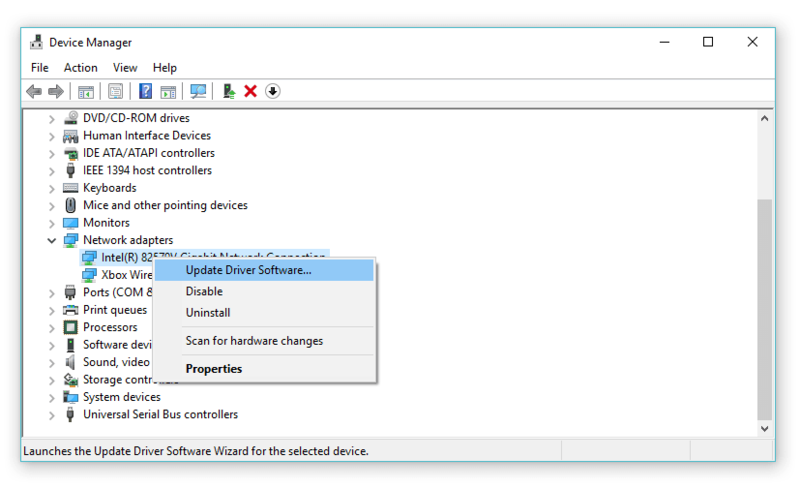 This should open the Device Manager – here find your network adapter, under the “Network Adapters” category. 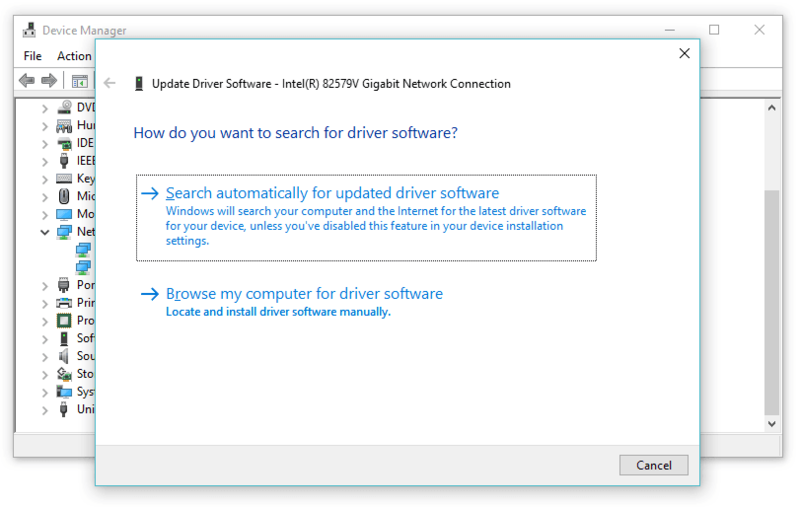 Right-click on the network adapter, and click on “Update Driver Software”. Simply click “Browse my computer for driver software”. Now click on the Browse button and browse to the folder where you downloaded the latest drivers for this network adapter. Once you have selected the correct folder, simply click Next and let Windows handle everything. 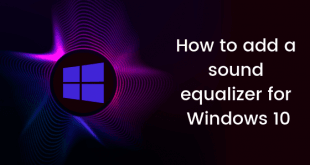 These steps will help you install the latest Windows drivers for your network adapter – once again this is not a guarantee to fix the problem, but rather an attempt at it. We hope that you were able to resolve the DNS Probe Finished No Internet error in chrome using one of the above-mentioned solutions. If neither of these solutions has helped you, then I am afraid you would have to continue your search for other solutions. Everything is fixable at the end – you just need to figure out the right way to get it done.